I have finally released an anthology of 89 of my poems written between 1965 and present. 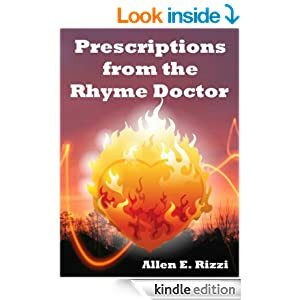 Prescriptions from the Rhyme Doctor is now available exclusively through Amazon.com’s Kindle Store at only $2.99. This poetry anthology is divided into two sections: The Young Man – Years of Hope and The Old Man – Years of Judgment. There are even a few poems written in Italian in what otherwise is an English language collection. If you like poetry, you may want to give this a read; there is something for everyone! A special thank you to my wife and editor for her wonderful cover design!